Violent clashes erupted in Cairo between pro- and anti-Morsi supporters killing nine and injuring over 30, while a further 70 people were wounded and one killed during riots and a blast north of the capital. 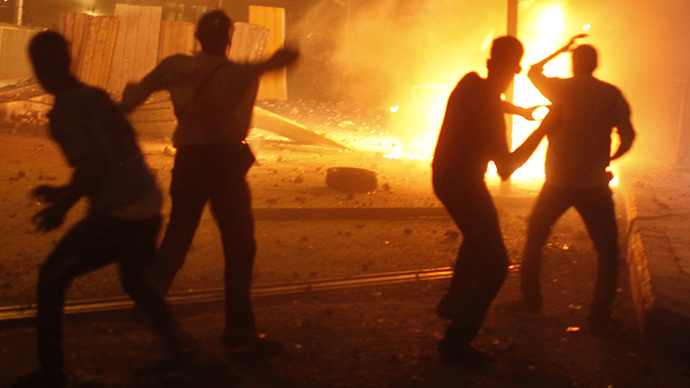 A bomb explosion at a police station in Mansoura about 120 km northeast of Cairo killed one person and injured 17. Five police officers were among the wounded, according to an Interior Ministry statement. The prosecutor general's office said that the bomb was made from TNT and was detonated using a timer. The explosive device was hidden in a bag placed inside pipes outside the building. Earlier authorities reported that unidentified assailants threw the device out of a passing vehicle. Sixty more people were injured during fierce clashes that took place 200 km north of Cairo in the port city of Damietta. 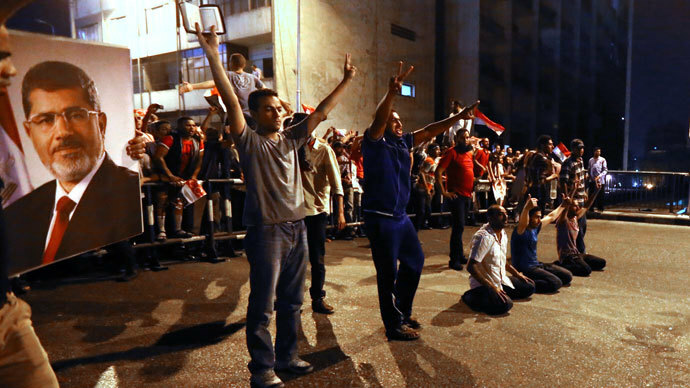 The riot began after locals forbade Muslim Brotherhood supporters to rally in support of the ousted President. In response the activists opened fire, pelted the locals with stones and threw firebombs. Further clashes erupted in Minufiyah province north of Cairo, but no information about the number of injured has been immediately available. 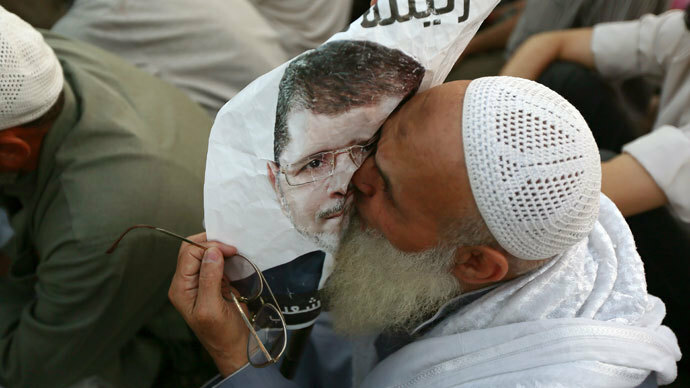 This comes after a day of clashes in Cairo between supporters and opponents of Egypt’s ousted President Mohamed Morsi. 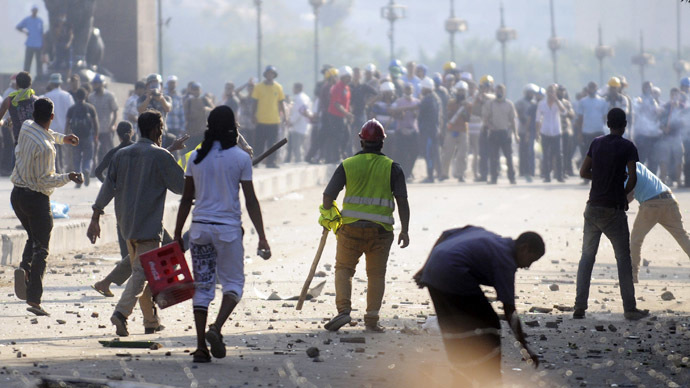 The violence claimed nine lives and injured 33 people, after clashes began near a Brotherhood protest at Cairo University, where Morsi supporters have camped out since his ouster on July 3. 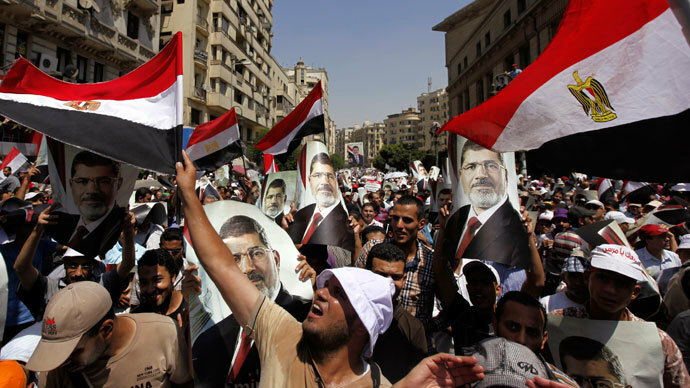 Hundreds of Morsi supporters clashed with local residents, firing gunshots and throwing stones, police sources told Reuters. The Brotherhood said violence was backed by the Interior Ministry, an allegation the security official denied. After the clashes witnesses reported at least 15 burned-out cars, splattered blood and broken glass and traffic police stations set on fire. Egypt’s military and the Muslim Brotherhood continue to blame each other for violence launched in the weeks following Morsi’s removal from office. 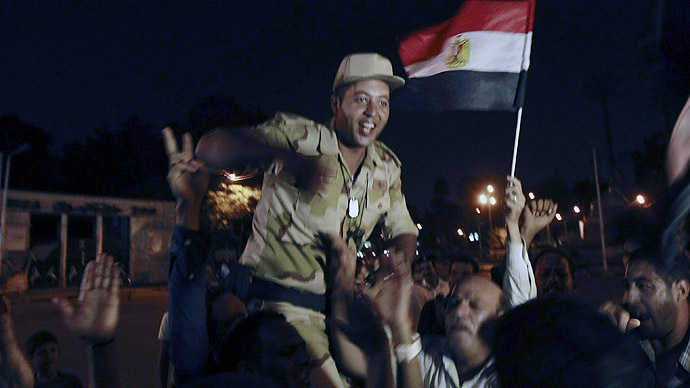 The Brotherhood also maintains that the military orchestrated a coup. A total of around 100 people have died in clashes since Egyptian army ousted Morsi and established an interim government headed by Adli Mansour, with the goal of paving the way for new parliamentary and presidential elections early next year.